Burrrr! 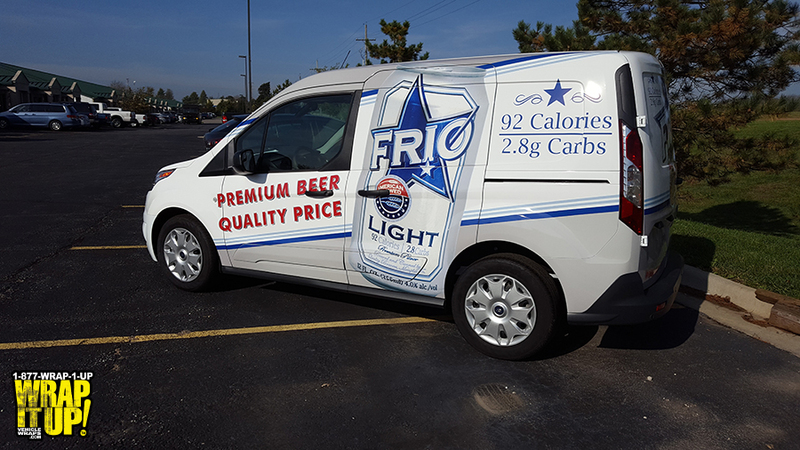 This new van wrap for Frio Light beer is ice cold. This Ford Transit Connect is decked out in amazing graphics provided by Standard Beverage. Every aspect of this vehicle is strategically placed to fully represent Frio Light beer. Frio American Brewed is an American light beer at a great low price! Each can is only 92 calories. When you go out to grab your next batch of ice cold adult beverages make sure you pick up a case of Frio. Please drink responsibly. Thanks Frio!